Myocardial infarction is ischemic necrosis due to occlusion of coronary artery by thrombus or subintimal hemorrhage at the site of atheromatous narrowing. Less often, complete occlusion by intimal plagues or by hemorrhage into a plague is responsible/ Coronary vasoconstriction or spasm may be intense and prolonged and has been proved to result in myocardial infarction in a small number of cases. VSMC, vascular smooth muscle cell migration. The location and extent of infarction depend upon the anatomic distribution of the vessel, the site of current and previous occlusions, and the adequacy of collateral circulation. Thrombosis occurs most commonly in the anterior descending branch of the left coronary artery, resulting in infarction of the anterior left ventricle. Occlusion of the left circumflex artery produces anterolateral infarction. Right coronary thrombosis leads to infarction of the posteroinferior portion of the left ventricle and might involve the right ventricular myocardium. The hemodynamic findings are related directly to the extent of necrosis or scarring of the myocardium. In mild infarction, toe hemodynamics may be normal. With more severe disease, there may be a raised left ventricular end-diastolic pressure with associated increase in the pulmonary artery diastolic pressure, decreased cardiac output, and decreased ejection fraction. When the patient is hypotensive or in shock, the cardiac output is considerably reduced in conjunction with evidences of left ventricular failure and a high left ventricular filling pressure. The “wedge” and left ventricular diastolic pressure may be raised, with no abnormality in the right ventricular diastolic pressure or the right atrial pressure; thus, the superior Vena cava or right atrial pressures are often misleading because they do not reflect left ventricular events. They are, however, valuable if the pressures are very low, indicating the possibility of hypovolemia; the response to volume loads may be helpful in producing an increased cardiac output. The presence of a large V wave in the pulmonary wedge pressure pulse is helpful in diagnosing acute mitral insufficiency due to papillary muscle dysfunction in patients who abruptly worsen, with development of cardiac failure. Similarly, raised oxygen content in the right ventricle under similar circumstances helps in diagnosis of perforated ventricular septum. History: Most patients with angina pectoris report of retrosternal chest discomfort rather than frank pain. The former is usually described as a pressure, heaviness, squeezing, burning, or choking sensation. Anginal pain may be localized primarily in the epigastrium, back, neck, jaw, or shoulders. Typical locations for radiation of pain are arms, shoulders, and neck. Typically, angina is precipitated by exertion, eating, exposure to cold, or emotional stress. It lasts for approximately 1-5 minutes and is relieved by rest or nitroglycerin. Chest pain lasting only a few seconds is not usually angina pectoris. The intensity of angina does not change with respiration, cough, or change in position. Pain above the mandible and below the epigastrium is rarely anginal in nature. Ask patients about the frequency of angina, severity of pain, and number of nitroglycerin pills used during angina episodes. Angina decubitus is a variant of angina pectoris that occurs at night while the patient is recumbent. Some have suggested that it is induced by an increase in myocardial oxygen demand caused by expansion of the blood volume with increased venous return during recumbency. Unstable angina is defined as new-onset angina (ie, within 2 mo of initial presentation) of at least class III severity, significant recent increase in frequency and severity of angina, or angina at rest. For most patients with stable angina, physical examination findings are normal. Diagnosing secondary causes of angina, such as aortic stenosis, is important. A positive Levine sign (characterized by the patient's fist clenched over the sternum when describing the discomfort) is suggestive of angina pectoris. Look for physical signs of abnormal lipid metabolism (eg, xanthelasma, xanthoma) or of diffuse atherosclerosis (eg, absence or diminished peripheral pulses, increased light reflexes or arteriovenous nicking upon ophthalmic examination, carotid bruit). Examination of patients during the angina attack may be more helpful. Useful physical findings include third and/or fourth heart sounds due to LV systolic and/or diastolic dysfunction and mitral regurgitation secondary to papillary muscle dysfunction. Pain produced by chest wall pressure is usually of chest wall origin. 1. Premonitory pain-Over one-third of patients give a history of alteration the pattern of angina, sudden onset of typical or atypical angina, or unusual "indigestion" felt in the chest. 2. Pain of infarction-This may begin during rest (even in sleep) or activity. It is similar to angina in location and radiation but is more severe, does not subside with rest, and builds up rapidly or in waves to maximum intensity in the space of a few minutes or longer. Nitroglycerin has little effect. The pain may last for hours if unrelieved by narcotics and is often unbearable. Patients break out in a cold sweat, feel weak and apprehensive; and move about, seeking a position of comfort. They prefer not to lie quietly. Lightheadedness, syncope, dyspnea, orthopnea, cough, wheezing, nausea and vomiting, or abdominal bloating may be present singly or in any combination. 3. Painless infarction-In 5-15% of cases, pain is absent or minor and is overshadowed by the immediate complications, notably acute pulmonary edema or rapidly developing heart failure, profound weakness, shock, syncope, or cerebral thrombosis. B. Signs: Physical findings are highly variable; the presence of rales, gallop rhythm, tachycardia, arrhythmia or bradycardia, and hypotension correlate well with hemodynamic and clinical evidences of the severity of the attack and the extent of the necrosed myocardium. 1. Shock. Shock may be described as a systolic blood pressure below 80 mm Hg; (or slightly higher with prior hypertension) along with gray facial color, mental dullness, cold clammy skin, peripheral cyanosis, decreased urine output, tachycardia or bradycardia, and weak pulse. Shock is present only in severe attacks (incidence about 8-14%). Shock may be caused primarily by the pain rather than the hemodynamic effects of the infarction; if so, distinct improvement occurs within 30-60 minutes after relief of pain and administration of oxygen. 2. Cardiac effects-In the severe attack, the first and second heart sounds are faint, are often indistinguishable on auscultation, and assume the so-called "tic-tac" quality. Gallop rhythm, distended neck veins, and basal rales are often present. Acute pulmonary edema or progressive congestive failure may dominate the picture. In less severe attacks, examination is normal or there may be diminished intensity of the first sound or low systolic blood pressure; arrhythmia, hypoxemia, radiologic evidence of pulmonary venous congestion, and echocardiographic evidence of left ventricular distention may be present. Pericardial friction rub appears in 20% of cases between the second and fifth days; it is often transient or intermittent and is rarely of clinical significance unless the patient is taking anticoagulants, in which case a large hemorrhagic effusion may develop. The presence of right ventricular failure with raised venous pressure disproportionate to left, ventricular failure in the presence of an inferior myocardial infarction should make one consider right ventricular infarction. In the usual case of severe left ventricular failure followed by right ventricular failure, the former dominates. When the reverse is true, right ventricular infarction associated with enlargement and hypokinesis of the right ventricle may be present. The ventricular septum and the posterior left and right ventricles are usually infarcted. 3. Fever-Fever-is absent at the onset (in contrast to acute pericarditis) and during prolonged shock. It usually rises to 37.8-39.4 °C – rarely to 40.6 °C—within 24 hours and persists for 3-7 days (rarely longer). C. Laboratory Findings: Leukocytosis of 10-20 thousand cells/mL usually develops on the second day and disappears in 1 week. The sedimentation rate is normal at onset, rises on the second or third day, and remains elevated for 1-3 weeks. SGOT activity increases in 6-12 hours, reaches a peak in 24—48 hours, and returns to normal in 3—5 days. Serum lactic acid dehydrogenase may remain elevated for 5-7 days. Serial determinations are helpful in equivocal instances. Creatine phosphokinase (CPK) isoenzyme activity may increase earliest (especially -the MB isoenzyme, derived almost exclusively from the myocardium), and, when determined every 2 hours, gives an estimate of the magnitude of the infarction, although for diagnosis, CPK determination every 6—12 hours is adequate. D. Electrocardiography: Electrocardiographic changes do not correlate well with the clinical severity of the infarction. The characteristic pattern consists of specific changes that undergo a stereotyped "evolution '' over a matter of weeks in the average case. At the onset there are elevation of ST segment and T wave and abnormal Q waves; fee ST segment progressively returns to the baselines as T waves become symmetrically inverted. An unequivocal electrocardiographic diagnosis of infarction can only be made in the presence of all 3 abnormalities. Serial ST-T changes alone are compatible with but not diagnostic of infarction. The characteristic changes are not seen in the presence of left bundle branch block or when a previous infarct has permanently altered fee ECG. Even in these instances an ECG taken early in an attack often shows ST segment displacement. Chest radiograph findings are usually normal in patients with angina pectoris. However, they may show cardiomegaly in patients with previous MI, ischemic cardiomyopathy, pericardial effusion, or acute pulmonary edema. 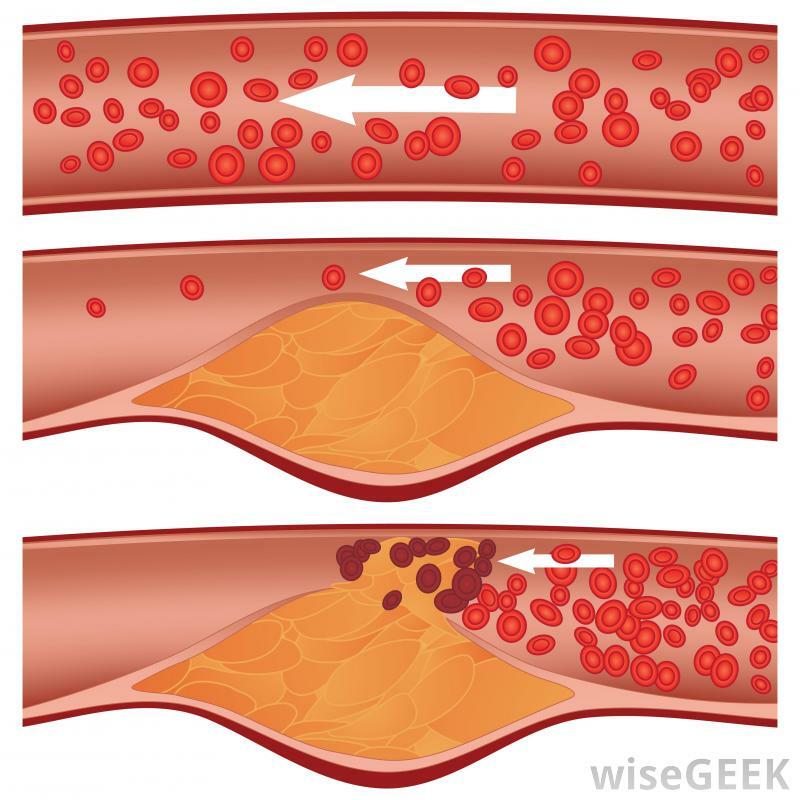 Calcification of coronary arteries frequently correlates with major coronary artery disease. These test results must be interpreted in the context of the likelihood of the presence of coronary artery disease determined from the patient's history and physical examination findings. In a population with low prevalence, the predictive abilities of these tests are low; however, in patients with a high likelihood of coronary artery disease, the predictive value is much higher. Stress echocardiography can be used to evaluate segmental wall motion during exercise. It detects changes in regional wall motion that occur during myocardial ischemia. Normal myocardium becomes hyperdynamic during exercise; ischemic segments become hypokinetic or akinetic. Stress echocardiography has the advantage of simultaneous evaluation of LV function, cardiac dimensions, and valvular disease. It is especially useful in patients with baseline ECG abnormalities and those with systolic murmurs suggestive of aortic stenosis or hypertrophic cardiomyopathy. It is also helpful for localizing ischemia and evaluating its severity. Signs of severe coronary artery disease during exercise stress echocardiography include LV dilation, a decrease in global systolic function, and new or worsening mitral regurgitation. However, with dobutamine stress echocardiography, even in patients with severe coronary artery disease, the LV cavity may not dilate and global systolic function may improve. A major problem with stress echocardiography is the technical difficulty with obtaining adequate images in some patients. Thallium Tl 201 and technetium Tc 99m sestamibi are the most frequently used myocardial perfusion scintigraphy tests. These tests are especially useful in patients with baseline ECG abnormalities, to localize the region of ischemia, and as prognostic indicators. The presence of increased lung uptake upon thallium imaging is associated with a poor prognosis. Increased lung uptake, together with poststress dilation of the LV and multiple perfusion defects, is suggestive of either left main coronary artery disease or severe 3-vessel disease. The number of affected myocardial segments is predictive of long-term survival. Smaller perfusion defects are usually associated with peripheral coronary artery lesions, which are associated with a better prognosis. The absence of perfusion defects even in the presence of symptoms indicates an excellent prognosis. In acute pericarditis, fever often precedes fee onset of pain, which may be predominantly pleuritic and is significantly relieved by breath-holding and leaning forward and made worse by swallowing. The friction rub appears earlier, is louder, is heard over a greater area, and is more persistent than in infarction, and a pleuropericardial rub is often present. There are no QRS changes, and ST elevation and T wave inversion are more widespread, without reciprocal changes (except in aVR). SGOT and LDH are rarely elevated. Dissection of fee aorta causes violent chest pain feat is often of maximum severity at onset. It typically spreads up or down fee chest and back over a period of hours. Changes in pulses, changing aortic murmurs, and left pleural effusion or cardiac tamponade are distinctive features. Blood pressure does not fall early. Syncope or neurologic abnormalities are common. Electrocardiographic changes are not diagnostic of infarction unless fee coronary ostia arc involved in fee proximal dissection. Acute pulmonary embolism may cause chest pain indistinguishable from myocardial infarction as well as hypotension, dyspnea, and distended neck veins, but fee ECG, regardless of coronarylike changes, will often show right axis deviation or right ventricular conduction defect early in fee course of fee acute process. SGOT and LDH are often elevated, as in myocardial infarction. The myocardial band isoenzyme of CPK is not elevated in acute pulmonary embolism. If the attack is not fatal, pulmonary infarction may follow, frequently causing pleuritic pain, hemoptysis, and localized lung findings. Thrombophlebitis is often found when careful examination is made of the legs, the groins, and the lower abdomen. Cervical or thoracic spine disease produces sudden, severe chest pain similar to myocardial infarction; but orthopedic measures give relief and the ECG is normal. Reflux esophagitis may simulate the pain of infarction, and the T waves may be flat or even inverted during the attack, but there is no hypotension or subsequent fever, leukocytosis, or increase in sedimentation rate, SGOT, LDH, or CPK. Spontaneous pneumothorax, mediastinal emphysema, preemptive herpes zoster, and severe psychophysiologic cardiovascular reactions may have to be differentiated from myocardial infarction. Congestive heart failure and shock may be present at onset of infarction or may develop insidiously or abruptly following an arrhythmia or pulmonary embolization. Sedation and weakness may mask the presence of dyspnea and orthopnea. Distension of neck veins, persistent basal rales, gallop rhythm, the appearance of the murmur of mitral insufficiency, abnormal cardiac pulsations, an enlarging tender liver, and peripheral edema should besought daily. If increasing cardiac failure or evidence of poor cardiac output develops, a Swan-Ganz flow-directed balloon catheter should be inserted to determine precisely the hemodynamic abnormalities and to assist in treatment. Portable chest x-ray films to recognize pulmonary venous congestion are desirable. If anticoagulants are not given, pulmonary embolism secondary to phlebitis of the leg or pelvic veins occurs in 5-10% of patients during the acute and convalescent stage. Arrhythmias occur commonly after myocardial infarction and are thought to be the cause of death in about 40% of patients. The mechanism is either cardiac arrest or ventricular fibrillation; the former occurs following shock or heart failure, and the latter is more apt to be a primary event (although it can be secondary). Continuous monitoring has revealed a higher incidence of ventricular tachycardia, complete atrioventricular block, and other less serious arrhythmias than was formerly suspected. The appearance of left anterior hemiblock, especially combined with right bundle branch block, often precedes the development of complete atrioventricular block and requires insertion of a prophylactic pacemaker. Ventricular premature beats often precede more serious arrhythmias in late or secondary but may not in early or primary ventricular fibrillation. Atrial arrhythmias are less common and often transient, as is the case with atrial fibrillation. The prompt recognition of arrhythmias is essential in order to initiate treatment. Cerebrovascular accident may result from a fall in blood pressure associated with myocardial infarction or from embolism secondary to a mural thrombus. It is advisable to take an ECG in all patients with "cerebrovascular accident." Recurrent myocardial infarction or extension of the infarction occurs in about 5% of patients during recovery from the initial attack. Rupture of the heart is uncommon. When it occurs, it is usually in the first week. Perforation of the ventricular septum is rare, characterized by the sudden appearance of a loud, harsh systolic murmur and thrill over the lower left parastemal area or apex and acute heart failure. This must be distinguished from mitral insufficiency caused by papillary muscle infarction or dysfunction. The diagnosis may sometimes be made by passing (at the bedside) a pulmonary artery flow-directed catheter and noting the size of the v wave in the wedged position and the oxygen content in the right ventricle. Two-dimensional echocardiography may demonstrate the perforation of the ventricular septum and so obviate the need for catheterization. Both lesions may precipitate cardiac failure and require cardiac surgery when the patient's condition has stabilized in weeks or months and right and left heart catheterization reveals a significant hemodynamic lesion. 'Emergency surgical repair is sometimes required but has a high mortality rate. An effort should be made to delay surgery for at least a month. Ventricular aneurysm and peripheral arterial embolism may occur early or not for months after recovery. The spectrum of ventricular aneurysm is now recognized to extend from frank outpocketing of an area of myocardium with well-demarcated paradoxic pulsations to localized poor contraction or irregular pulsation seen on cineangiography. Approximately 20% or patients develop some form of aneurysm or left ventricular hypokinesis, recognized clinically by abnormal paradoxic precordial pulsations and proved by gated pool scintigraphy, 2-dimensional echocardiography, cinefluoroscopy, or left ventricular cineangiography. Some of these patients develop refractory cardiac failure and benefit from surgical excision. The shoulder-hand syndrome is a rare preventable disorder caused by prolonged immobilization of the arms and shoulders, possibly due to "reflex sympathetic dystrophy.'' Early pain and tenderness over the affected shoulder are followed by pain and swelling and weakness of the hand, with excessive or deficient sweating. Oliguria, anuria, or, rarely, tubular necrosis may result if shock persists. Medical Care: The main goals of treatment in angina pectoris are to relieve the symptoms, slow the progression of disease, and reduce the possibility of future events, especially MI and premature death. Smoking cessation results in a significant reduction of acute adverse effects on the heart and may reverse, or at least slow, atherosclerosis. Strongly encourage patients to quit smoking, and take an active role in helping them to achieve this goal. Treat risk factors, including hypertension, diabetes mellitus, obesity, and hyperlipidemia. Several clinical trials have shown that in patients with established coronary artery disease, reduction of low-density lipoprotein (LDL) level with a beta-hydroxy-beta-methylglutaryl coenzyme A reductase inhibitor (ie, statin) is associated with significant reductions in both mortality rate and major cardiac events. These benefits are present even in patients with mild-to-moderate elevations of LDL cholesterol level. Recent trials with cholesterol-lowering agents have confirmed the benefits of the therapeutic LDL lowering in older persons. Angiographic studies demonstrate that a reduction of the LDL level in patients with coronary artery disease could cause slowing of progression, stabilization, or even regression of coronary artery lesions. A recent study demonstrates a significant reduction of symptomatic myocardial ischemia in patients with unstable angina or non–Q-wave infarction with the administration of a statin during the early acute phase. In a more recent study of 10,001 patients with stable coronary artery disease, an aggressive cholesterol-lowering approach with atorvastatin 80 mg daily (mean cholesterol level of 77 mg/dL) compared to a less-aggressive approach with atorvastatin 10 mg daily (mean cholesterol level of 101 mg/dL) resulted in a 2.2% absolute reduction and a 22% relative reduction in the occurrence of a first major cardiovascular event (defined as death from coronary heart disease; nonfatal, non–procedure-related myocardial infarction; resuscitation from cardiac arrest; or fatal or nonfatal stroke).This occurred with a greater incidence of elevated aminotransferase levels with the aggressive cholesterol-lowering approach (1.2% vs 0.2%, p<0.001). On the basis of several recent studies that have demonstrated the benefits of more aggressive LDL-lowering therapies in high-risk patients with coronary artery disease, the Committee of the National Cholesterol Education Program recently made the following modifications to the Adult Treatment Panel III (ATP III) guidelines. In high-risk patients, a serum LDL cholesterol level of less than 100 mg/dL is the goal. In very high-risk patients, an LDL cholesterol level goal of less than 70 mg/dL is a therapeutic option. Patients in the category of very high risk are those with established coronary artery disease with one of the following: multiple major risk factors (especially diabetes), severe and poorly controlled risk factors (especially continued cigarette smoking), multiple risk factors of the metabolic syndrome (especially high triglyceride levels [>200 mg/dL] plus non-HDL cholesterol level [>130 mg/dL] with low HDL cholesterol level [<40 mg/dL]), and patients with acute coronary syndromes. For moderately high-risk persons (2+ risk factors), the recommended LDL cholesterol level is less than130 mg/dL, but an LDL cholesterol level of 100 mg/dL is a therapeutic option. Some triglyceride-rich lipoproteins, including partially degraded very LDL levels, are believed to be independent risk factors for coronary artery disease. In daily practice, non-HDL cholesterol level (ie, LDL + very LDL cholesterol [total cholesterol - HDL cholesterol]) is the most readily available measure of the total pool of these atherogenic lipoproteins. Thus, the ATP III has identified non-HDL cholesterol level as a secondary target of therapy in persons with high triglyceride levels (>200 mg/dL). The goal for non-HDL cholesterol level (for persons with serum triglyceride levels >200 mg/dL) is 30 mg/dL higher than the identified LDL cholesterol level goal. Patients with established coronary disease and low HDL cholesterol levels are at high risk for recurrent events and should be targeted for aggressive nonpharmacological (ie, dietary modification, weight loss, physical exercise) and pharmacological treatment. A recent study demonstrated that in patients with established coronary artery disease who have low HDL and low-risk LDL levels, drug therapy with medications that raise HDL cholesterol levels and lower triglyceride levels but have no effect on LDL cholesterol levels (eg, gemfibrozil) could significantly reduce the risk of major cardiac events. In all persons with low HDL cholesterol levels, the primary target of therapy is to achieve the ATP III guideline LDL cholesterol level goals with diet, exercise, and drug therapy as needed. After reaching the targeted LDL level goal, emphasis shifts to other issues. That is, in patients with low HDL cholesterol levels who have associated high triglyceride levels (>200 mg/dL), the secondary priority is to achieve the non-HDL cholesterol level goal of 30 mg/dL higher than the identified LDL cholesterol level goal. In patients with isolated low HDL cholesterol levels (triglycerides <200 mg/dL), drugs to raise the HDL cholesterol level (eg, gemfibrozil, nicotinic acid) can be considered. Exercise training results in improvement of symptoms, increase in the threshold of ischemia, and improvement of patients' sense of well-being. However, before enrolling a patient in an exercise-training program, perform an exercise tolerance test to establish the safety of such a program. Consider enteric-coated aspirin at a dose of 80-325 mg/d for all patients with stable angina who have no contraindications to its use. In patients in whom aspirin cannot be used because of allergy or gastrointestinal complications, consider clopidogrel. Although early observational studies suggested a cardiovascular protective effect with the use of hormone replacement therapy, recent large randomized trials failed to demonstrate any benefit with hormone replacement therapy in the primary or secondary prevention of cardiovascular disease. In fact, these studies even demonstrated an increased risk of coronary artery disease and stroke in patients on hormone replacement therapy. The Women's Health Initiative study demonstrated that the use of hormone replacement therapy for 1 year in 10,000 healthy postmenopausal women is associated with 7 more instances of coronary artery disease, 8 more strokes, 8 more pulmonary emboli, 8 more invasive breast cancers, 5 fewer hip fractures, and 6 fewer colorectal cancers. Based on these data, the risks and benefits of hormone replacement therapy must be assessed on an individual basis for each patient. Sublingual nitroglycerin has been the mainstay of treatment for angina pectoris. Sublingual nitroglycerin can be used for acute relief of angina and prophylactically before activities that may precipitate angina. No evidence indicates that long-acting nitrates improve survival in patients with coronary artery disease. Beta-blockers are also used for symptomatic relief of angina and prevention of ischemic events. They work by reducing myocardial oxygen demand and by decreasing the heart rate and myocardial contractility. Beta-blockers have been shown to reduce the rates of mortality and morbidity following acute MI. Long-acting heart rate–slowing calcium channel blockers can be used to control anginal symptoms in patients with a contraindication to beta-blockers and in those in whom symptomatic relief of angina cannot be achieved with the use of beta-blockers, nitrates, or both. Avoid short-acting dihydropyridine calcium channel blockers because they have been shown to increase the risk of adverse cardiac events. Anginal symptoms in patients with Prinzmetal angina can be treated with calcium channel blockers with or without nitrates. In one study, supplemental vitamin E added to a calcium channel blocker significantly reduced anginal symptoms among such patients. In patients with syndrome X and hypertension, ACE inhibitors may normalize thallium perfusion defects and increase exercise capacity. Revascularization therapy (ie, coronary revascularization) can be considered in patients with left main artery stenosis greater than 50%, 2- or 3-vessel disease and LV dysfunction (ejection fraction, <45%), poor prognostic signs during noninvasive studies, or severe symptoms despite maximum medical therapy. The 2 main coronary revascularization procedures are percutaneous transluminal coronary angioplasty, with or without coronary stenting, and coronary artery bypass grafting. Patients with 1- or 2-vessel disease and normal LV function who have anatomically suitable lesions are candidates for percutaneous transluminal coronary angioplasty and coronary stenting. Restenosis is the major complication, with symptomatic restenosis occurring in 20-25% of patients. Restenosis mostly occurs during the first 6 months after the procedure and can be managed by repeat angioplasty. Several recent trials have demonstrated that the use of drug-eluting stents (eg, sirolimus-eluting stents, paclitaxel-coated stents) can remarkably reduce the rate of in-stent restenosis. Recently, with the introduction of these drug-coated stents, patients with multivessel coronary artery disease are more frequently treated with percutaneous revascularization as opposed to the surgical revascularization. Patients with single-vessel disease and normal ventricular function treated with percutaneous transluminal coronary angioplasty show improved exercise tolerance and fewer episodes of angina compared with those who receive medical treatment. However, no difference in the frequency of MI or death has been shown between these two groups. Patients with significant left main coronary artery disease, 2- or 3-vessel disease and LV dysfunction, diabetes mellitus, or lesions anatomically unsuitable for percutaneous transluminal coronary angioplasty have better results with coronary artery bypass grafting. The overall operative mortality rate for coronary artery bypass grafting is approximately 1.3%. The rate of graft patency 10 years after surgery is less than 50% for vein grafting, although more than 90% of grafts using internal mammary arteries are patent at 10 years. In recent years, interest has increased regarding surgery without cardiopulmonary bypass (ie, off-pump) in an attempt to avoid the morbidity associated with cardiopulmonary bypass. A recent randomized study demonstrated that off-pump coronary surgery was as safe as on-pump surgery and caused less myocardial damage. However, the graft-patency rate was lower at 3 months in the off-pump group than in the on-pump group. Recently, laser transmyocardial revascularization has been used as an experimental therapy for the treatment of severe, chronic, stable angina refractory to medical or other therapies. This technique has been performed with either an epicardial surgical technique or by a percutaneous approach. In both approaches, a series of transmural endomyocardial channels are created to improve myocardial perfusion. The surgical transmyocardial revascularization technique has been associated with symptomatic relief for end-stage chronic angina in the short term. However, no published data address the long-term efficacy of surgical transmyocardial revascularization. Nonetheless, this technique appears to provide at least symptomatic relief for end-stage chronic angina in the short term. Diet: A diet low in saturated fat and dietary cholesterol is the mainstay of the Step I and Step II diet from the American Heart Association. Activity: The level of activity that aggravates anginal symptoms is different for each patient. However, most patients with stable angina can avoid symptoms during daily activities simply by reducing the speed of activity. Drug Category: Antiplatelet agents -- Prevent thrombus formation by inhibiting platelet aggregation. Aspirin is proven beneficial in primary and secondary prevention of coronary artery disease. In patients with aspirin intolerance, use clopidogrel. Clopidogrel is also used in combination with aspirin after coronary stent placement. Recently, clopidogrel use in addition to aspirin has been shown to be significantly superior to aspirin alone in patients with acute coronary syndrome without ST-segment elevation MI. Aspirin (Bayer, Empirin, Anacin) -- Prevents platelet aggregation by irreversible cyclooxygenase inhibition with subsequent suppression of thromboxane A2. Antiplatelet effect can last as long as 7 d.
Clopidogrel (Plavix) -- Selectively inhibits ADP binding to platelet receptor and subsequent ADP-mediated activation of GPIIb/IIIa complex, thereby inhibiting platelet aggregation. Consider in patients with contraindication to aspirin. Drug Category: Beta-adrenergic blocking agents -- Work by competing with endogenous catecholamines for beta-adrenergic receptors. Reduce myocardial oxygen consumption via several effects, including decrease in resting and exercise heart rates and reductions in myocardial contractility and afterload. Classified as nonselective, beta-1 selective, and having intrinsic sympathomimetic effects. Metoprolol (Lopressor, Toprol XL) -- Selective beta1-adrenergic receptor blocker that decreases automaticity of contractions. Is lipophilic and penetrates CNS. Atenolol (Tenormin) -- Selectively blocks beta-1 receptors with little or no effect on beta-2 receptors. Is hydrophilic and does not penetrate CNS. Propranolol (Inderal) -- Nonselective beta-blocker that is lipophilic (penetrates CNS). Although generally short-acting agent, long-acting preparations also available. Drug Category: Calcium channel blockers -- Reduce transmembrane flux of calcium via calcium channels. Cause smooth muscle relaxation, resulting in peripheral arterial vasodilation and afterload reduction. Indicated when symptoms persist despite treatment with beta-blockers or when beta-blockers are contraindicated. Also indicated in patients with Prinzmetal angina with or without nitrates. Amlodipine (Norvasc) -- During depolarization, inhibits calcium ions from entering slow channels and voltage-sensitive areas of vascular smooth muscle and myocardium. Diltiazem (Cardizem CD, Dilacor) -- During depolarization, inhibits calcium ions from entering slow channels and voltage-sensitive areas of vascular smooth muscle and myocardium. Verapamil (Calan, Covera) -- During depolarization, inhibits calcium ion from entering slow channels or voltage-sensitive areas of vascular smooth muscle and myocardium. Drug Category: Short-acting nitroglycerins -- Suitable for immediate relief of exertional or rest angina. Can also be used for prophylaxis several minutes before planned exercise to avoid angina. Reduce myocardial oxygen demand by reduction of LV and arterial pressure, primarily by reducing preload. Nitroglycerin (Nitrostat, Nitro-bid, Nitrol) -- Causes relaxation of vascular smooth muscle by stimulating intracellular cyclic GMP production. Result is decrease in BP. Drug Category: Long-acting nitroglycerins -- Reduce LV preload and afterload by venous and arterial dilation, which subsequently reduces myocardial oxygen consumption and relieves angina. Also cause dilation of epicardial coronary arteries, which is beneficial in patients with coronary spasm. In addition, nitroglycerin has antithrombotic and antiplatelet effects in patients with angina pectoris. No evidence suggests that nitrates improve survival or slow progression of coronary artery disease. Isosorbide (Isordil, ISMO) -- Relaxes vascular smooth muscle by stimulating intracellular cyclic GMP. Decreases LV pressure (ie, preload) and arterial resistance (ie, afterload). Reduces cardiac oxygen demand by decreasing LV pressure and dilating arteries. Drug Category: Angiotensin-converting enzyme inhibitors -- Recently shown to reduce rates of death, MI, stroke, and need for revascularization procedures in patients with coronary artery disease or diabetes mellitus and at least one other cardiovascular risk factor, irrespective of the presence of hypertension or heart failure. Ramipril (Altace) -- Prevents conversion of angiotensin I to angiotensin II, a potent vasoconstrictor, resulting in lower aldosterone secretion. Drug Category: Anti-ischemic agents, miscellaneous -- Ranolazine elicits action unlike beta-blockers, calcium antagonists, or nitrates. It does not affect hemodynamics or contractile and conduction parameters. Ranolazine (Ranexa) -- Cardioselective anti-ischemic agent (piperazine derivative) that partially inhibits fatty acid oxidation. Also inhibits late sodium current into myocardial cells and prolongs QTc interval. Indicated for chronic angina unresponsive to other antianginal treatments. Used in combination with amlodipine, beta-blockers, or nitrates. Unlike beta-blockers, calcium channel blockers, and nitrates, does not reduce blood pressure or heart rate. Effect on angina rate or exercise tolerance appears to be smaller in women than in men. Absorption is highly variable but unaffected by food. Coronary atherosclerosis is the main preventable cause of mortality in the United States. A rigorous effort to address correctable risk factors is the mainstay of preventive cardiovascular medicine. Smoking cessation is the single most effective preventive intervention to reduce coronary atherosclerosis prevalence. It has been associated with a coronary artery disease reduction of 7-47% in primary prevention settings. Aggressive treatment of diabetes mellitus, hypertension, LV hypertrophy, hyperlipidemia, and obesity has an important role in the prevention of coronary artery disease. The most important recent development in coronary atherosclerosis risk modification is the introduction of inhibitors of beta-hydroxy-beta-methylglutaryl coenzyme A reductase. Reductions of total and LDL cholesterol levels by 25% and 35%, respectively, can achieve a similar reduction in rates of total and coronary mortality, MI, and need for coronary revascularization. Complications of angina pectoris include unstable angina, MI, and death. Important prognostic indicators in patients with angina pectoris include LV function, severity and location of atherosclerotic lesions, and response of symptoms to medical treatment. LV function is the strongest predictor of long-term survival. Elevated LV end-diastolic pressure and volume along with reduced LV ejection fraction (<40%) are poor prognostic signs. Critical lesions of left main and proximal left anterior descending coronary arteries are associated with a greater risk. Mortality rates are also directly associated with the number of epicardial arteries involved. Unstable angina, recent MI, or both is a sign of atherosclerotic plaque instability, which is a strong predictor of increased risk of short-term coronary events. A number of signs during noninvasive testing are predictive of a higher risk of coronary events, including ST-segment depression of more than 2 mm at a low workload, ST-segment depression that persists for more than 5 minutes after termination of exercise, and failure of blood pressure to rise or an actual drop in blood pressure. Patients who continue to smoke after an MI have a 22-47% increased risk of reinfarction and death. In general, Prinzmetal angina and syndrome X are associated with excellent long-term prognoses. Educating patients about the benefits of smoking cessation, a low-cholesterol diet, physical activity, and periodic screening for diabetes mellitus and hypertension is the prime component of a long-term management plan. For excellent patient education resources, visit eMedicine's Circulatory Problems Center, Cholesterol Center, Heart Center, and Statins Center. Also, see eMedicine's patient education articles Angina Pectoris, High Cholesterol, Understanding Your Cholesterol Level, Lifestyle Cholesterol Management, Understanding Cholesterol-Lowering Medications, Chest Pain, Coronary Heart Disease, and Heart Attack. In patients with stable angina pectoris, even the most carefully performed history and physical examination have limitations. Classification of these patients solely on the basis of history and physical examination findings may lead to serious mistakes. Some type of stress testing is usually indicated to confirm the diagnosis and quantitate the severity of ischemia. In women, elderly persons, and diabetic patients, coronary artery disease may manifest with atypical presentations other than angina pectoris, such as silent ischemia or infarction. Physicians should use a careful approach when evaluating these patients. · Allen KB, Dowling RD, Fudge TL, et al: Comparison of transmyocardial revascularization with medical therapy in patients with refractory angina. N Engl J Med 1999 Sep 30; 341(14): 1029-36. · Ambrosio G, Betocchi S, Pace L, et al: Prolonged impairment of regional contractile function after resolution of exercise-induced angina. Evidence of myocardial stunning in patients with coronary artery disease. Circulation 1996 Nov 15; 94(10): 2455-64. · Cannon CP, Braunwald E, McCabe CH, et al: Intensive versus moderate lipid lowering with statins after acute coronary syndromes. N Engl J Med 2004 Apr 8; 350(15): 1495-504. · Gibbons RJ, Balady GJ, Bricker JT, et al: ACC/AHA 2002 guideline update for exercise testing: summary article: a report of the American College of Cardiology/American Heart Association Task Force on Practice Guidelines (Committee to Update the 1997 Exercise Testing Guidelines). Circulation 2002 Oct 1; 106(14): 1883-92. · Grundy SM, Cleeman JI, Merz CN, et al: Implications of recent clinical trials for the National Cholesterol Education Program Adult Treatment Panel III Guidelines. J Am Coll Cardiol 2004 Aug 4; 44(3): 720-32. · Lanza GA, Giordano A, Pristipino C, et al: Abnormal cardiac adrenergic nerve function in patients with syndrome X detected by [123I]metaiodobenzylguanidine myocardial scintigraphy. Circulation 1997 Aug 5; 96(3): 821-6. · National Cholesterol Education Program: Executive Summary of The Third Report of The National Cholesterol Education Program (NCEP) Expert Panel on Detection, Evaluation, And Treatment of High Blood Cholesterol In Adults (Adult Treatment Panel III). JAMA 2001 May 16; 285(19): 2486-97. · Piatti P, Fragasso G, Monti LD, et al: Endothelial and metabolic characteristics of patients with angina and angiographically normal coronary arteries: comparison with subjects with insulin resistance syndrome and normal controls. J Am Coll Cardiol 1999 Nov 1; 34(5): 1452-60. · Scandinavian Simvastatin Survival Study Group: Randomised trial of cholesterol lowering in 4444 patients with coronary heart disease: the Scandinavian Simvastatin Survival Study (4S). Lancet 1994 Nov 19; 344(8934): 1383-9. · Shepherd J, Blauw GJ, Murphy MB, et al: Pravastatin in elderly individuals at risk of vascular disease (PROSPER): a randomised controlled trial. Lancet 2002 Nov 23; 360(9346): 1623-30. · Yusuf S, Zhao F, Mehta SR, et al: Effects of clopidogrel in addition to aspirin in patients with acute coronary syndromes without ST-segment elevation. N Engl J Med 2001 Aug 16; 345(7): 494-502. Are you looking for a diode laser hair removal delhi that is perfect for your hair type?